Security researchers at Kaspersky have uncovered "The Mask", a cyber spying campaign believed to have been started in a Spanish-speaking country. The campaign is one of the most advanced cyberattack operations ever seen, targeting governments, energy companies and activists in 31 countries around the globe. Going undetected for seven years, it had infected more than 380 targets before being stopped in recent weeks. Ironically, the malware finally revealed itself when it attempted to hack into Kaspersky Labs, piquing the research team's interest in why it was trying to steal data on hiding viruses in systems. 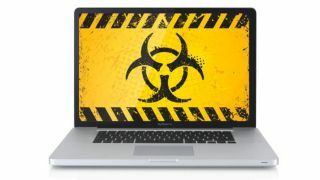 With versions capable of infecting Mac OS X, iOS, Linux and Android, the malware is highly sophisticated, leading the research team to believe its development was state-sponsored. Relying on phishing emails with links to malicious sites, the malware, once successful in infecting a computer, filters all communication to and from the machine as well as scraping vital information. Kaspersky refused to identify the government suspected to have been behind the spying, but did reveal that The Mask had been most active in Morocco, Brazil, Spain, the UK and France. The discovery, the company stated, could indicate that more countries are developing sophisticated spying programs to combat agencies such as GCHQ and the United States' NSA.